Product liability law covers situations where people have been injured as a result of defective or badly designed products. The injuries caused by defective products can be life-altering or fatal. Our lawyers’ experience in wrongful death litigation and catastrophic injury cases often makes the difference when litigating a product liability claim. The lawyers at Sarrail, Castillo & Hall, LLP are also premises liability attorneys in San Mateo. We can assess whether there is also a claim against a property owner for accidents that occurred outside your home. Your initial consultation is free of charge.  Based in Burlingame, CA, our offices are easily accessible by car and public transportation. Please call 650-513-8899 to make an appointment to speak to one of our experienced product liability attorneys, or contact us online.